Director Rebecca Matthews (feature debut) brings horror to the screen in Pet Graveyard. Four friends incant spells and mysticism to cross to the other side and visit the dead, but they are going to bring something back. Beginning with an early kill - to, you know, kick things off - Matthews places the story firmly in the realm of the supernatural. A young couple pull into a garage, one of them is injured, and something is reaching out from the ether to torment them. It's a good start. Cut to years later, and we are introduced to the cast (read: victims) of the tale. 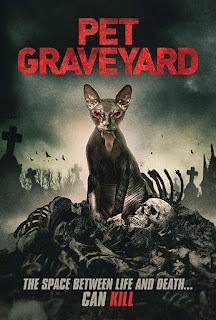 Expecting (from the cover) to be retreading the ground of a Pet Sematary copycat (pun intended), the film plays out more like a mash between Flatliners and Final Destination. Each of the cast have lost someone - someone that they never got to say goodbye to. They believe that they can visit the otherside and say their piece, bringing peace to their minds. This all kicks off the events, and needless to say, things don't go well. 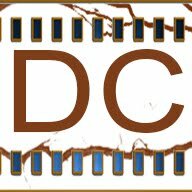 Matthews does a solid job - the sets for the most part are very good, and there are some good shot choices. For a micro-budget horror, the film looks and feels pretty snazzy too. The camera work and editing are good, and the soundtrack on point. The cast has some stand outs, of course. The best player in the main cast is Rita Siddiqui (Hate Story IV) as Zara, seeking closure over the death of her brother. A quick cameo from Hattie Willow (feature debut) hits the spot too. Our protagonist, Lily, played by Jessica Otoole (feature debut) does a good job. With David Cotter (feature debut) playing as her (rather unlikable) brother, and Hindolo Koroma (Abusing Protocol) rounding off those with most screentime. To be fair, they do a solid job for having such little experience. You wouldn't know. Writer Suzy Spade (The Viking War) has put together an unexpected story, it's well written, and not without surprises. The film isn't laced with jump scares, thanks to Matthews, and there is a creeping dread throughout. It moves with a good pace too - some effective deaths - probably not enough to sate the gore fans - but certainly enough to make it a horror. Outside of some minor blips in character actions and story choices, there is little not too like. It bodes well for the future of all involved.